Human space travel since the Apollo missions has been a massive disappointment. The promise of spaceplanes and nuclear rockets has vanished into the ether, the shuttle fleet has retired and humans haven’t returned to the Moon, let alone explored other worlds. The largest space project in history, the International Space Station, floats in low Earth orbit. 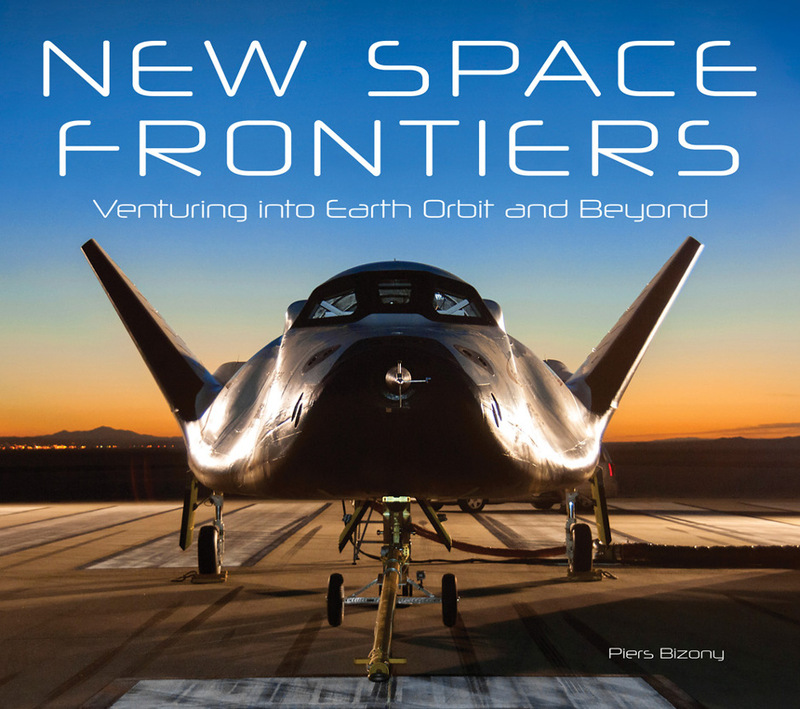 So will New Space Frontiers, by popular science writer Piers Bizony, one day look as quaint as the unfulfilled predictions of decades-past, with promises of bases on the Moon, space hotels and frequent trips to Mars? There’s every reason to say “no”. The twenty-first century has seen the beginning of a new era in human spaceflight. Companies such as Virgin Galactic, SpaceX, Orbital Sciences and Reaction Engines Ltd are making headway in a way never seen before. In this generously-sized book, Bizony gives the reader an insight into these companies and also into traditional space agencies and emerging space-faring nations such as China. The book is broken down into six chapters, starting with an escape from Earth and ending with interstellar travel, with lush images aplenty in the thick, glossy pages. Naturally, as the book goes on, the projects outlined become progressively more theoretical (such as Alcubierre space-warp drives). Even simply going to Mars throws up a lot of problems that, as the book shows, are yet to be solved. Bizony successfully captures what is happening right now. The book’s range is broad, but it also gives enough detail to illustrate the challenges and reasons behind particular designs. Anyone interested in this new space age will get something from New Space Frontiers. It is ideal for young people, especially anyone thinking of a career related to space travel. 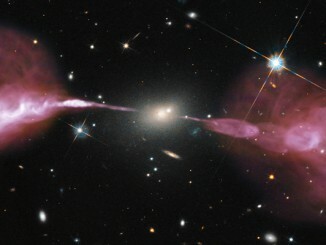 In his second report from the Royal Astronomical Society’s National Astronomy Meeting 2015, Kulvinder Singh Chadha ponders the nature of dark matter and whether cosmic jets — jets of material from active galaxies travelling close to the speed of light — may correlate with dense regions of dark matter in the Universe.